The next wave of free agency is on the way and several marquee players are still without an NBA team to call home. The Crossover considers the best of what remains: the players that are unsigned for a variety of reasons. By day's end on July 1, just 24 hours into free agency, LeBron James, Chris Paul, and Paul George had already agreed to new deals. A dozen others had jumped the line, re-upping with their previous teams or signing for cap exceptions elsewhere. As of Monday, around 50 free agents have struck deals totaling more than $1 billion. DeMarcus Cousins couldn't land the deal he wanted, so he signed with the Warriors for a year instead. DeAndre Jordan agreed, again, to join the Mavericks. Aaron Gordon re-upped with the Magic for $84 million over four years, while many others—from Jordan and Cousins to J.J Redick and Tyreke Evans—scooped up one-year deals. Below are the best of what remains: the players that, for a variety of reasons, are unsigned as the NBA enters into the next wave of free agency. The Rockets have traditionally let the market set the value for their restricted free agents, a tact which has left Capela thus far unsigned. There isn't much leverage to be found; now that the Mavericks (who agreed to sign DeAndre Jordan) and Lakers (who reportedly met with Capela, but no longer have the cap room to sign him to a lucrative offer sheet) are off the board, there aren't many—if any—realistic alternatives for Capela to drive up his contract value. Teams around the league understand how good Capela is. They also understand that Houston is likely to match almost any offer sheet Capela signs, making it impractical for them to clear cap space to pursue him. 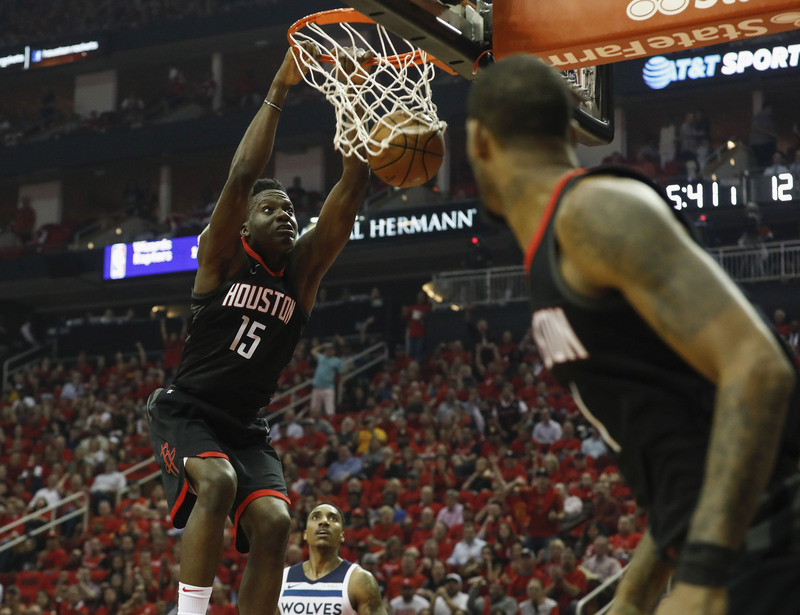 Staying in Houston always seemed the most likely outcome for Capela. The question is on what terms—both financially speaking and emotionally speaking, given that the 24-year-old center might not get the kind of deal he was looking for. Smart is about as good as a player can be while shooting 36.7% from the field. It's hard to build around him, given that he's neither a competent scorer nor a reliable playmaker. Yet if Smart is allowed to freelance a bit within an established structure, he makes high-impact plays that few others can make. You pay for his defense, his edge, and his energy. You just have to live with the fact that no opponent will respect his jumper come playoff time. That has likely cost Smart some offers, along with the lack of a market for point guards in general. Thus far, most of the players at Smart's position to sign new deals have either re-signed with their previous teams or signed elsewhere for something around the minimum salary. Smart is worth considerably more than that, which is why with every passing day, it seems more likely that Smart opts to play for his qualifying offer (worth $6.1 million)—and return to free agency next season. It's at times like these that the chip on Thomas's shoulder threatens to sink him. No matter how effective he was in Boston two years ago, Thomas's future seems to be in a smaller role—the very kind that he seems loathe to accept. Invest at your own risk. We still don't know just how fully Thomas will be able to recover from the hip injury that compromised his game last season, and his short stature leaves little room for athletic decline. If Thomas can't create separation from his defender—as was his issue last season—his days as a useful player could be over. It speaks volumes that the Magic, after reportedly considering Thomas, traded for Jerian Grant instead. There's still a great deal of intrigue around Parker, given that his game has never much had the chance to settle. Whatever traction he found as a scorer was undermined by injury. When Parker returned, he found the Bucks an entirely different team—in large part because Giannis Antetokounmpo had become a entirely different player. Everything we've seen from Parker since has been an effort to fit in on the fly, all while working his way back into form. Those evaluating Parker for how he might perform in another context have their work cut out for them, considering all the complications involved. Mbah a Moute's offensive limitations will always leave his team wanting, but only because they'd love to have him on the floor for bigger minutes and longer stretches. Any sort of defensive assignment is safe if Mbah a Moute's hands. He's 6'8" but can check point guards, if necessary, and centers, if asked. Those qualities seem even more valuable to the Rockets now that they've parted ways with Trevor Ariza. Can Houston's defense—which was predicated on length and switchability—really afford to lose two of its most versatile defenders in the same summer? It's a bit odd that Ellington has yet to find a deal considering how quickly shooters like Joe Harris, Doug McDermott, and Marco Belinelli came to terms on theirs. The difference may be in expected salary; whereas those players signed for annual salaries ranging from $6-8 million per season, Ellington should be in line to command more. Only five players in the league made more three-pointers last season than Ellington, each one of them a star scorer in his own right. That skill travels; the only magic in the way the Heat used Ellington was that they thought to feature him, leveraging his shooting in curls and dribble hand-offs to force defenses into tough decisions. A player like Ellington can elevate an offense short on high-end creators or fill a role to complement tried-and-true stars. The key is simply letting him loose. The most promising flashes from Wade last season came as a second-unit point guard in Cleveland, where he brought order to a group of role players. If Wade can embrace that kind of mentality—one of facilitation rather than go-to scoring—he could have plenty of fun, productive basketball ahead of him. If not, his utility seems rather limited. 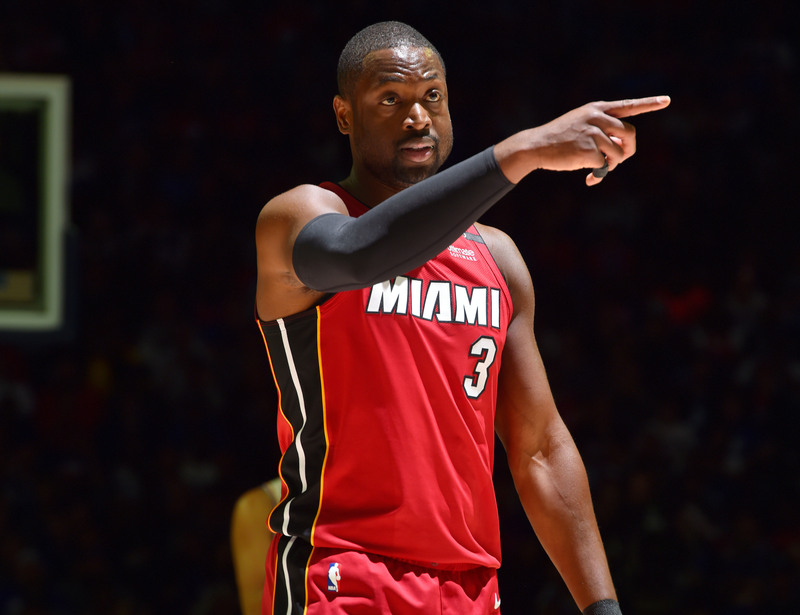 The calculus for Wade, fittingly, might come down to whether he wants to go another round with the Heat or call it a career after 15 years in the league. Monroe has found his niche: generating efficient offense for around 20 minutes a night against second-line bigs too small or too green to stop him. Keep his role contained and his weaknesses will rarely come to bear. How many teams, though, are really looking for backup centers as an offseason priority? Harrell stretched his game as a Clipper last season for the simple fact that he no longer had James Harden around to spoon-feed him dunks on his rolls to the rim. He was forced to catch the ball further from the basket; to finish on hook shots rather than layups; and to create for himself. What resulted were 17 highly productive and marvelously effiicent minutes a night. Harrell doesn't have the defensive chops or the desired size to be a starter, but his downhill work can change the momentum of a game in spot minutes. Given the way the Clippers have navigated their other business this summer, Harrell's odds of returning may hinge on his willingness to accept a one-year deal. Hood likely salvaged his free agency by showing up in the Finals, but fundamentally he was still the player whom the Cavs—a team that had fully invested in his ability to create offense—effectively benched. The market for his services thus far has been appropriately tepid. Considering that Hood is at his best with the ball in his hands, you'd really prefer that his game were a bit more stable before making any sort of sizable investment. Where Crawford lands has a lot to do with what kind of contract he's willing to accept. Last time he was a free agent, Crawford signed with the Timberwolves for the room exception, then worth $4.3 million. Some team might pay him that to carry its second unit. A better one might only offer the minimum, not to mention less freedom and opportunity. Broad interest comes from the fact that Crawford can win a team 3 to 4 close games outright with hot shooting. Whether that's worth his defensive liability is something that can only be determined on a case-by-case basis, but the kind of issue that higher-level teams are typically better equipped to compensate for. The fact that Portland declined to even give Napier a qualifying offer registered as a mild surprise, given that he played the sixth-most minutes among Trail Blazers last season. Any lingering chance for Napier's return on a new deal extinguished once Portland struck agreements with two other guards (Seth Curry and Nik Stauskas) in his stead. That makes Napier one of the best available ball handlers, ready and able to shore up the rotation as a backup. The 26-year-old has settled in as a solid pro: a functional creator out of the pick-and-roll and a decent three-point shooter who has shown he can contribute without always having the ball in his hands. As Beasley has mellowed with age, he's become quite a useful scorer. He doesn't need much structural support to get his, which can be a relief to makeshift second units without the most consistent personnel. Set up Beasley on the block and he'll work over smaller defenders. Feature him on the perimeter and his pull-up game can buoy an offense. Beasley's game lends itself more to chaos than structure, though he's productive and efficient enough within that context to make his role work. If he were only a bit more comfortable spotting up from the perimeter (rather than creating for himself), Beasley could be a fascinating piece for a number of playoff teams. Ennis fits the bill of the not-quite-3-and-D wing player—a defender whose jumper comes and goes. When he's knocking down threes at a league-average rate or better, Ennis can work as a decent starter. When he's not, his utility becomes much more conditional. It's never a bad thing to have wings with the strength to bump with opposing bigs after a switch or rotation, though Ennis is just limited enougn offensively to keep from locking down a longer-term deal. Golden State would like to bring McCaw back, if possible, though it might not be willing to match just any offer considering the luxury tax implications involved. At issue is that McCaw might be more valuable to the Warriors than other teams. McCaw's game is still fundamentally timid, to the point that even his more aggressive drives seem somewhat performative. An apparent lack of confidence in his shot—which hasn't progressed much over his two years in the league—plays into that. Still, there's a certain ineffable quality to the way McCaw defends and hustles that lifts a team, a frenetic energy that can help turn the tide or sustain a run. McCaw bears more than a passing similarity to a young Trevor Ariza.